This is a very clever picture book. When I first saw the cover it reminded me of Battle Bunny by John Scieszka. It can sort of be described as a fiction story layered over an informational book. Pages of the book tell facts about creatures in the deep sea, but also include illustrations of Blobfish who is commenting on the information. 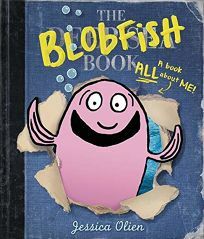 Blobfish wants to know why there aren't any blobfish in the book, but then learns they are the world's ugliest animal. The book provides facts about the deep sea, but also has a message about friendship. It's humorous, but also the kind of book that makes me wish I could be so creative. I received an ARC of this book from NetGalley. 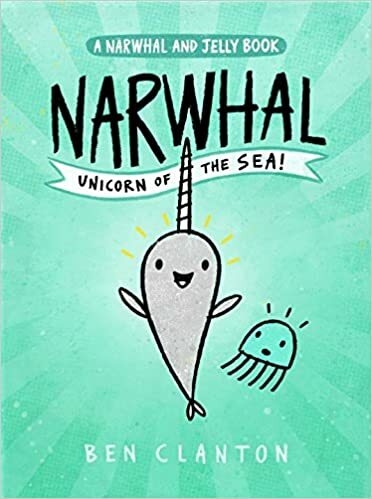 The story tells about the adventures and friendship of two very different characters, Jelly and Narwhal. I think the graphic format is what makes the story unique and entertaining. A lot of my students love graphic novels, but most of the graphic novels in my collection are more accessible to those in the upper elementary grades. 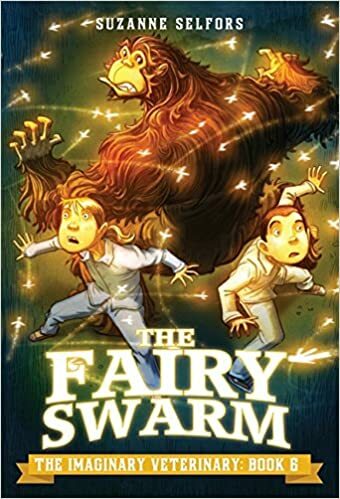 This graphic novel is fun and will be one that I can share with even my lower elementary readers. This is a fun bath time story that includes humor and imagination. Bruno must take a bath, but to his surprise there is a whale in his bathtub. He tries to solve his problem by telling members of his family, but no one seems to believe there is a really a whale in the bathtub. The whale eventually helps Bruno solve the problem and the ending will leave readers wondering whether Bruno has been telling the truth about the whale or not. The illustrations are wonderful, showing the immensity of the whale and getting across the point that a whale in the bathtub is a big problem. 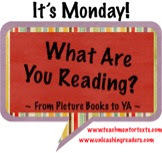 I have been trying to find some new series to recommend to my students so they have ideas for their summer reading. 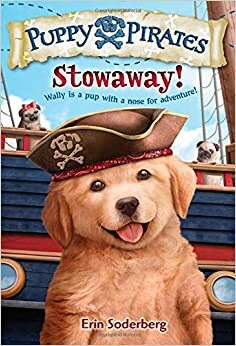 This will be a perfect series for transitional chapter book readers who have a love of dogs and are fascinated with pirates, as many of my students are. There is something sweet about Wally, who is trying to prove he deserves to be a crew member aboard the Salty Bone. The adventure and theme of bravery and heroism will keep readers interested. I will recommend this series for readers who like adventure with some magic and fantasy thrown in. Pearl Petal and her friend, Ben Silverstein, are apprentices to Dr. Woo, a veterinarian for imaginary creatures. There are mythical creatures, including sugar fairies and a sasquatch, as well as an evil villain, Maximus Steele. I started with the end, as this is the last book in the series. I think it will be an entertaining read for many of my readers. Looks like you had quite a nautical week. Come see my week here. Happy reading! I've ordered The Blobfish Book from my local library. It looks like a fun book. Have a great week! It is a fun book. I didn't even know about blobfish until I read Pink is For Blobfish, so I was surprised to see another book featuring this interesting creature. Thanks for your book suggestions. I have Piper Green in my library, but not the others. I'm not familiar with Dr. Kitty Cat at all. It sounds fun, though! I'll have to get my hands on one. I'd like to know more about the 48 Hour Book Challenge. I hadn't heard of them either! You are right, blobfish are having their day. They are so ugly they're cute! I noticed you had a theme going for awhile! My daughter teaches 3rd grade and Puppy Pirates looks like a book she should have in her library. The Fairy Swarm is a new one for me. Looks like something for kids who aren't ready for the bigger fantasy books. I didn't even think about the theme! I think Puppy Pirates will have lots of kid appeal so probably definitely a book for your daughter's library. All of these books are new to me. I don't even know where to start. I've requested the Narwhal book. Thanks for the heads up about The Imaginary Veterinary series. I've asked for the first one as an audiobook from our local library. I think all ages can appreciate picture books! I've seen the Narwhal one mentioned, I'm looking forward to it! This new Blobfish book is pretty humorous too! Oh wow - all these books are unfamiliar to me - thanks so much for sharing!